Stuart Little is no ordinary mouse. Born to a family of humans, he lives in New York City with his loving parents, Mr. and Mrs. Little, his older brother George, and Snowbell the cat. Though he's shy and thoughtful, Stuart is also a true lover of excitement and tries to live life to the fullest. This includes trying to negotiate life in the same household as Snowbell, who does not always have Stuart’s best interest at heart. 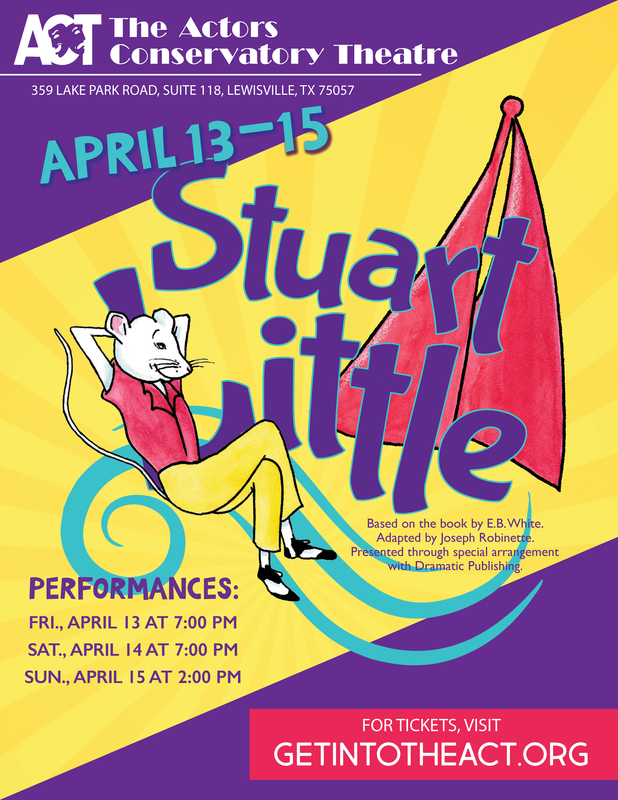 The many adventures—both big and small—of Stuart Little are brought vividly to life in this story-theatre presentation. The acting ensemble plays many human and animal roles in a series of delightful scenes that make up the marvelous maneuverings of this mild-mannered, helpful, and industrious mouse. Based on E.B. White's classic 1945 novel, this play is sure to delight both audiences and young performers alike. Play by Joseph Robinette. Based on the book, Stuart LIttle, by E.B. White. Stuart Little is presented through special arrangement with Dramatic Publishing, Inc.
Our Young Performers (ages 5-14) did a marvelous job on stage! Congratulations to the cast of Stuart Little!